You may not know what POTS is, however you might be surprised to find several of your symptoms listed below. POTS is not a disease, but rather a collection of symptoms, which is why it is called a "syndrome." POTS stands for Postural Orthostatic Tachycardia Syndrome. Aproximately 80% of people suffering from POTS are females. It is a very debilitating condition that very often brings normal life to a sudden halt. Many sufferers are bedridden for months to many years without much hope of improvement...until now. I am going to present the causes and the solutions. With our innovative approach, we are very close to 100% success in eliminating POTS...without using any medications! According to Dysautonomia International, POTS includes a wide range of symptoms. " While the diagnostic criteria focus on the abnormal heart rate increase upon standing, POTS usually presents with symptoms much more complex than a simple increase in heart rate. Many POTS patients also experience fatigue, headaches, lightheadedness, heart palpitations, exercise intolerance, nausea, diminished concentration, tremulousness (shaking), syncope (fainting), coldness or pain in the extremeties, chest pain and shortness of breath. Many people are misdiagnosed with Panic and Anxiety disorders. Patients can develop a reddish purple color in the legs upon standing, believed to be caused by blood pooling or poor circulation. The color change subsides upon returning to a reclined position. It is fairly common for POTS patients to have a drop in blood pressure upon standing, but some POTS patients have no change or even an increase in blood pressure upon standing. POTS sufferers often have hypovolemia (low blood volume) and high levels of plasma norepinephrine while standing, reflecting increased sympathetic nervous system activation. Approximately 50% of POTS patients have a small fiber neuropathy that impacts their sudomotor nerves. Although mainstream medicine seems to feel the best action is to treat the various symptoms of POTS individually through medication, we have found profound and lasting improvements can be achieved often in just a few weeks when the causes of POTS are addressed. POTS is primarily caused by dysregulation of the brain and the heart. The brain and the heart are like the dual-processors of the computer that runs the entire body. The brain and heart must remain synchronized in order for everything to work correctly. What happens in POTS is a corruption of the software and communication between the brain and heart, which throws off everything else in the body. POTS can be initially caused by combinations of infections, toxins, acute or prolonged stress, EMF interference, mental and physical trauma, poor diet, and medication. While each of these must be addressed, thankfully the correction of POTS is often rapid, because what each of these potential causes did to the body was to desynchronize the brain waves and the heart waves, as well as cause the brain waves to become stuck in specific frequencies in each of the lobes of the brain. While eliminating the toxins and the bacteria can create a favorable environment for the body to be restored, the POTS symptoms often remain. In fact, the POTS symptoms often remain even after every potential cause has been addressed, because until recently, there were no effective ways to address the desynchronized and stuck brain and heart waves. In the following link I introduce and discuss the profound new innovation called NeuroCardial Synchronization™, that was developed at the Hansa Center to specifically address the heart and brain disturbances of POTS. http://ehlradio.com/ArchivedShows/2014/051114ehl.mp3 Keep reading to learn how modern phonocardiograms have changed what is possible in diagnosing and treatment functional heart problems. Phonocardiology, when used in tandem with the powerful testing ability of BioResonance Scanning™ is a system of treatment now called NeuroCardial Synchronization™(NCS). Since NCS is such a new innovation, a Google search will likely not get any hits on the topic. Due to the fact that I developed this technology, and we are not a training/teaching facility, but a treating facility, NCS is only available at the Hansa Center for Optimum Health, in Wichita, Kansas. There are plans to train other doctors in future. People treated with NCS have often stated that they experience not just a disappearance of their heart rhythm problems, but a greater sense of well-being on every level, as sense of well-being, peace, is the normal state of the heart that is functioning optimally. One might consider the brain waves to be synonymous to the software program that runs the body. The brain waves should normally be able to change and adapt to whatever change or challenge that arises from our internal or external environment. 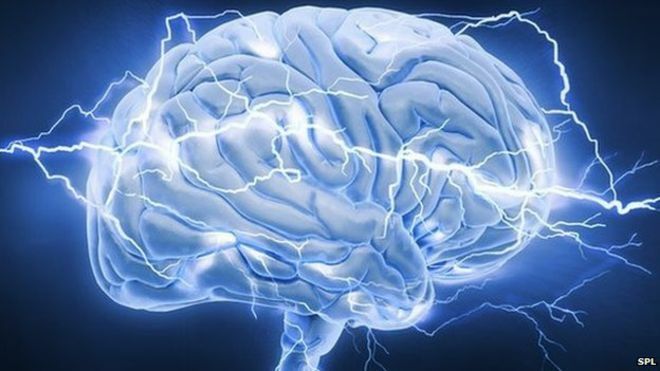 The brain waves of every POTS sufferer are stuck in either a highly activated Sympathetic or Para-Sympathetic brain wave pattern. This might be thought of like the gas pedal being fully pressed when the car is in "park," in the case of a stuck Sympathetic brain wave pattern, or the car is not even turned on, yet you need to get somewhere, in the case of a stuck ParaSympathetic brain wave pattern. Neither condition allows the body to respond correctly to any given situation. The brain waves are influenced by any dysfunction in the body, and the body is influenced by any brain wave problems. As the body heals, the brain waves reflect that healing. 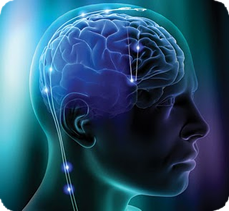 The healing technologies our doctors use, such as NeuroCardial Synchronization, and NeuroPhotonic Therapy can target specific areas of the nervous system and help facilitate the brain's ability to correct it's brain waves so that a greater range of adaptability to situations can be once again restored. One can see that when this occurs, virtually every condition affecting mankind would be greatly benefited.